At Jerry Lambert Automotive, we’re students and lovers of the history of the automotive world. As a family-owned business with humble roots that grew into a larger company, we like to appreciate the origins of some of the most beautiful vehicles on the market. With this in mind, we’re proud to offer a full range of services for Eagle vehicles. 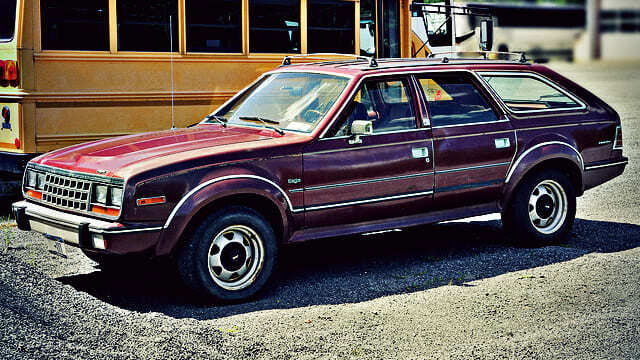 First produced in the 80s, the Eagle model was the crown jewel of the Chrysler Corporation by the middle of that decade. It brought a unique look, with an eagle as the logo to differentiate it from standard Chrysler cars that came with their well-known “pentastar” logo. Over time, Eagle was producing its own wide line of vehicles. They entered the market for luxury sedans, sport cars and also standard passenger vehicles, and many of these models still remain in production and on the road today. At Jerry Lambert Automotive, we’re here to keep your Eagle on the road and maintain its history. We can handle all possible issues that might arise with these vehicles, from basic maintenance concerns up to larger issues that might take a bit more time. All our technicians are ASE-certified, with years of experience working on a wide range of makes and models. When you come to our shop for Eagle service, you’ll feel like part of the family. We’ll involve you in all important decisions for your car, ensuring no major service takes place without your go-ahead. Our friendly staff can also offer simple tips for maintaining your vehicle on a day-to-day basis and getting the most out of it. So why wait? Call us today to learn about our Eagle service and our offerings for other models, or visit our central Salt Lake City location at your convenience.